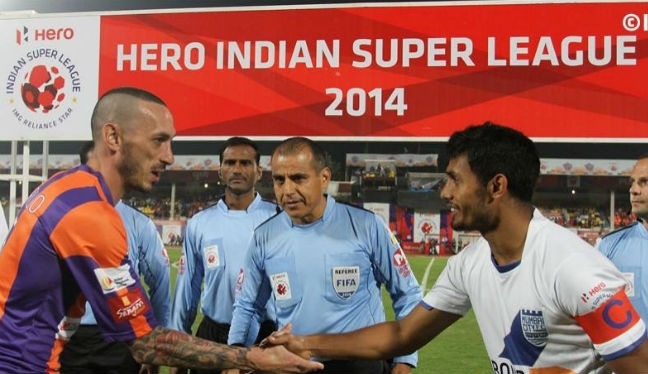 Baldomero Toledo says he is honored to represent the Professional Referee Organization by officiating in the inaugural Indian Super League. The experienced referee traveled over to India with PRO colleague Mark Cahen after officiating New England versus New York Red Bulls in the MLS Cup Playoffs semifinal second leg, and the duo will stay there for another week. Toledo’s first assignment, alongside Cahen, saw him in the middle for FC Pune City versus Mumbai City, before taking charge of a top-of-the-table clash between Chennaiyin and FC Goa. 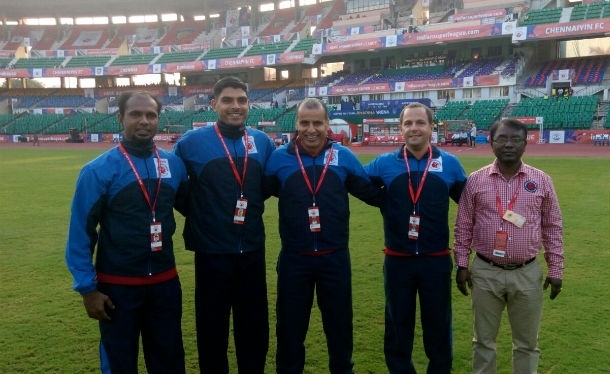 Next up for the PRO officials is another important game, on December 10 in Kolkata, where third-placed Atletico de Kolkata take on FC Goa, who are second. “It was not only a surprise to be asked to work in the ISL, but an absolute honor to represent PRO in a league that is just beginning with its inaugural season,” Toledo told proreferees.com. Toledo has blown the whistle in MLS for 10 years, having made his professional debut at Kansas City Wizards versus Colorado Rapids in 2004, and he has been able to draw comparisons between North American Soccer and of that in India. While he’s new to the ISL, PRO AR Cahen has previous experience, having officiated a handful of games alongside Chris Penso and Eric Boria in October. Toledo added: “Both leagues – MLS and the ISL – are incredibly well organized and have marquee players who bring excitement and entertaining games to the spectators. “The level of play is really good and certainly keeps you on your toes as a referee.